Florida is considered the, “Fishing Capital of the World,” by saltwater and freshwater anglers. The Florida Tourism Board reports, Florida has 7,700 lakes, 10, 550 miles of rivers and 2,276 miles of tidal shoreline- all teeming with fish. This year has been an unusual year for boaters and fisherman with some record setting highs and dangerous lows. A few boaters have encountered sturgeon collisions. In May on the Santa Fe River, a sturgeon jumped into a boat crashing the windshield. Thankfully the operator only experienced minor injuries. Another collision on May 31 occurred in the Suwannee River. It involved a four to six foot sturgeon jumping out of the water and into a boat, knocking a teenage girl unconscious. She was released later the same day from the hospital. “Boaters need to be aware that these fish are in the Suwannee and Santa Fe rivers. We want people to enjoy the recreational opportunities in the rivers, but we also want people to realize these fish do jump and can hurt you,” said Major Andy Krause, commander for the Florida Fish and Wildlife Conservation Commission (FWC) North Central Region in Lake City. The FWC recommends going slow to reduce the risk on impact and being vigilant. All passengers should wear life jackets and stay off the bow of the boat. According to the FWC, researchers attribute this phenomenon to this year’s low water levels. They have discovered sturgeon jump in order to communicate with one another and to fill their swim bladders to maintain natural buoyancy. This year has not been all bad for fishing enthusiasts. It has also started out as a record setting year for fisherman. A state record was set during a tournament on the Choctawhatchee River when a man caught a 69 pound 8 ounce blue catfish. This is the fourth freshwater record set this year after two shoal bass and a flier according to the FWC. A black grouper was caught in the Gulf of Mexico at a charity event weighing 124.15 pounds. It set a state record and the International Game and Fish Association will need to verify if it is a new world record. 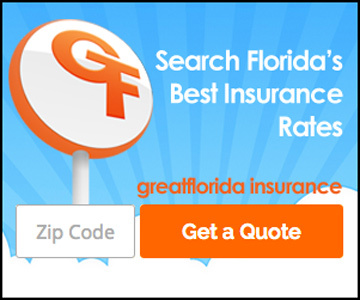 GreatFlorida Insurance provides boat insurance for all types of vessels from Jet Skis to yachts. We also cover fishing and other recreational equipment on your boat. Contact one of our agents if you are in the market for boat insurance or would just like more information.